The Mego Toy Corporation began in the 1950s as an importer of cheap dime store toys that included everything from role playing toys, trucks, puzzles and games to plush dolls. As the company grew and evolved they became the first in their industry to begin licensing brands and celebrity names for their action figure toy lines. In the 1970s they grew to become the 4th largest US toy company by licensing names like STAR TREK, WORLD'S GREATEST SUPER HEROES (which included Superman, Batman, Spiderman, Captain America, and many other DC and Marvel super heroes), STARSKY & HUTCH, CHER and PLANET OF THE APES. In addition, they also innovated many electronic toys and games and they were the ones that brought NINTENDO to the USA. 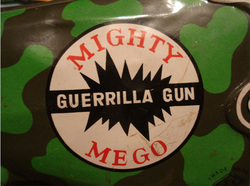 Mego Corporation was a revolutionary toy company that was on the cutting edge of the industry. Choose what Mego Toy items you want to see below! 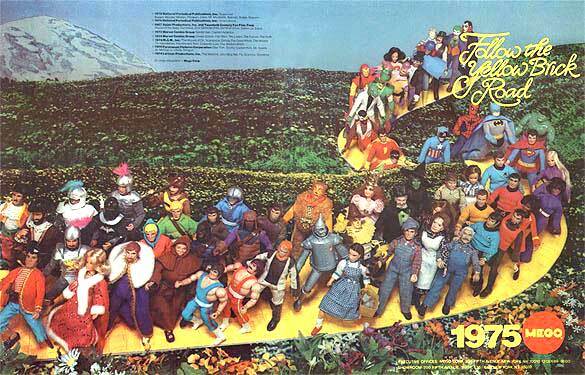 The story of Mego Corporation itself is as fascinating as the wonderful toys they produced. 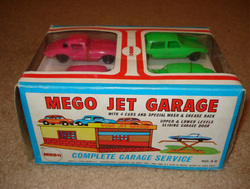 Beginning as a humble importer of dime store toys; by the 1970s Mego became a powerhouse corporation, licensing the hottest properties, throwing lots of high end parties and "taking limos to the bathroom" as Neal Kublan used to say. Click above to view my collection of vintage business cards, company envelopes, stock certificates, etc. My favorite and where it all started. Click here to discover Mego's roots and see great examples of their early innovative and unique toys. I believe to truly understand Mego you must explore their early work. Better yet, unlike other lines they produced, with these "odd ball" Mego items you never know what you are going to find! Fun! 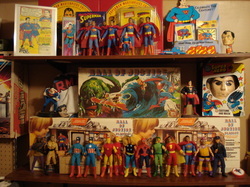 The WGSH Mego line of super heroes was their first HUGE success in the 70's and along with the Planet of the Apes and other lines propelled them to become the 4th largest toy company. This line is arguably the most collectible line they ever produced (aside from possibly Micronauts). Click above to see more! These Mego produced army figure toys sold very well in Europe through their subsidiary "Lion Rock Ltd" and later in the US by Chitech and Globo after Mego imploded and those companies bought up their dies to continue producing these figures. I personally think these are brilliant and would not have minded to see more of these in the US. Mego did use these bodies for some youth action figures like "Aqualad" from the Teen Titans. It would have been cool to see them do more with them, like maybe a Robin the boy wonder figure perhaps? Sadly, he stayed 8" tall like everyone else. 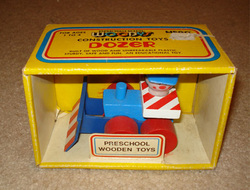 Woodys was Mego's attempt to compete with Fisher Price and other preschool toy makers. Kind of interesting that they would go "all natural" and attempt to produce hand painted wooden toys "just like we had when we were little girls and boys". For them to use the holistic nostalgia angle back in the early 1970s waaaaay before it was en vogue just shows how insanely progressive they were back then. 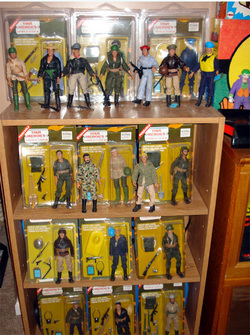 This section is a tribute to my toy hero Neal Kublan. This line came towards the end but was a cool idea nonetheless. All of the toys in this section come from the personal collection of a former Mego industrial engineer. 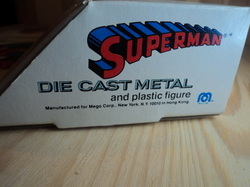 Features Superman, Batman, The Incredible Hulk, and Spiderman. and Play a classic Nintendo video game online now!